This gunwale strap offers strength, security and convenience. It secures one of your boat's gunwales to your trailer, stores extra strap length during transportation, and makes the trailer more visible at night. 1,200 lbs Max load. Lowest Prices for the best tie down straps from BoatBuckle. 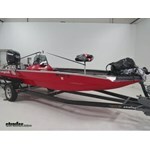 BoatBuckle Pro Series Kwik-Lok Gunwale Tie-Down Strap - 2" x 16' - 400 lbs - Qty 1 part number IMF17636 can be ordered online at etrailer.com or call 800-298-8924 for expert service. 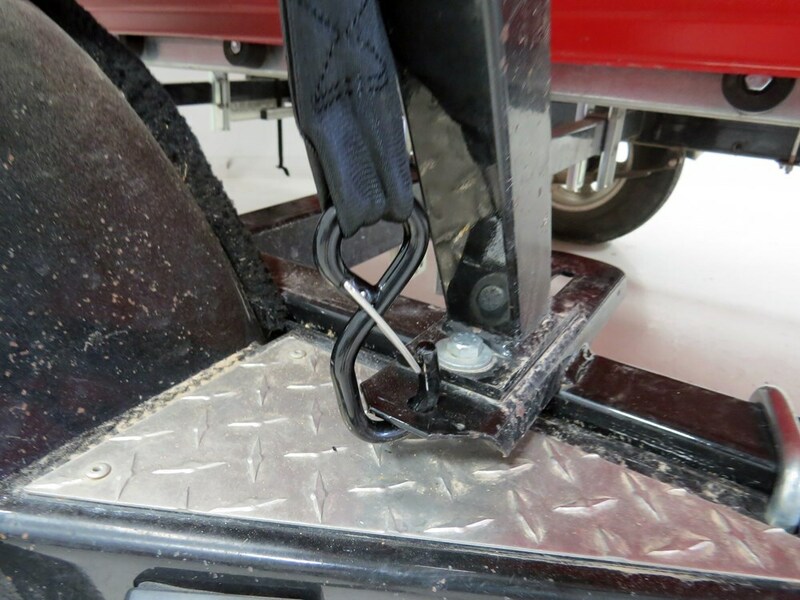 These heavy-duty tie-downs help you secure you boat's transom (stern) to your trailer. Ratchets make it easy to tighten the straps precisely and maintain tension. Polyester webbing and corrosion-resistant steel hardware. 2,500 lbs Max load. 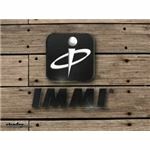 Today we're going to be taking at look at part number IMF17636. 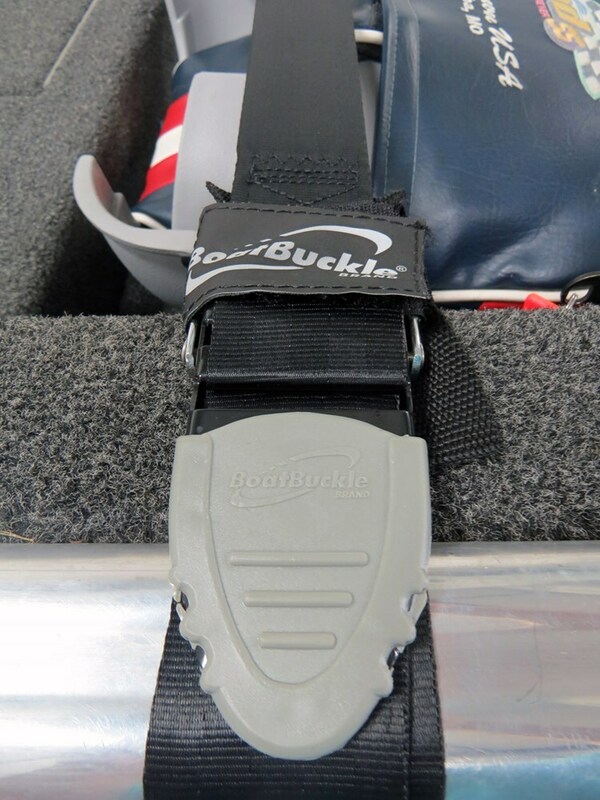 This is the BoatBuckle Pro Series Kwik-Lok Gunwale Tie-Down Strap. 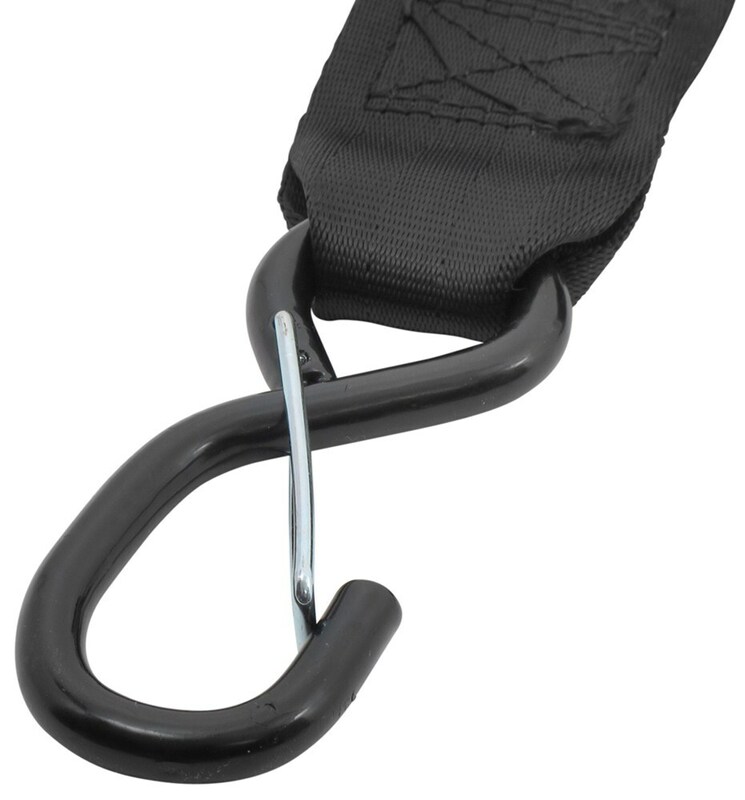 The heavy-duty tie down strap is going firmly secure your boat's gunwale to your trailer. It's going to feature the SUR-Grip rubber-coated Kwik-Lok buckle right here. It's very easy to grip and control with the use of one hand. The material on this unit is made from a heavy-duty seat belt quality polyester webbing. It's built for strength and durability. This portion here is going to be the Night Eyes technology. This is the closure patch on the buckle that's going to reflect light, which is going to add to your safety during nighttime. It's going to have the Hi-Vis protective PVC pad right here under the buckle along with the vinyl-coated steel S-hooks. These two elements are designed to protect your boat's finish. That way the buckle doesn't do any scraping because it's got that wide strap underneath there. Then the vinyl-coated S-hooks provide that nice coating so that way it protects the steel from able to do any damage like cause scratches or abrasions to the finish on your boat. You can also loop the excess strap that you may have right here with the hook-and-loop fastener. The strap dimensions, it's going to measure 2" wide by 16' in total length. It's going to feature a maximum load or break strength of 1,400 pounds with a safe working load limit of 400 pounds. With this part number you're going to get one strap. 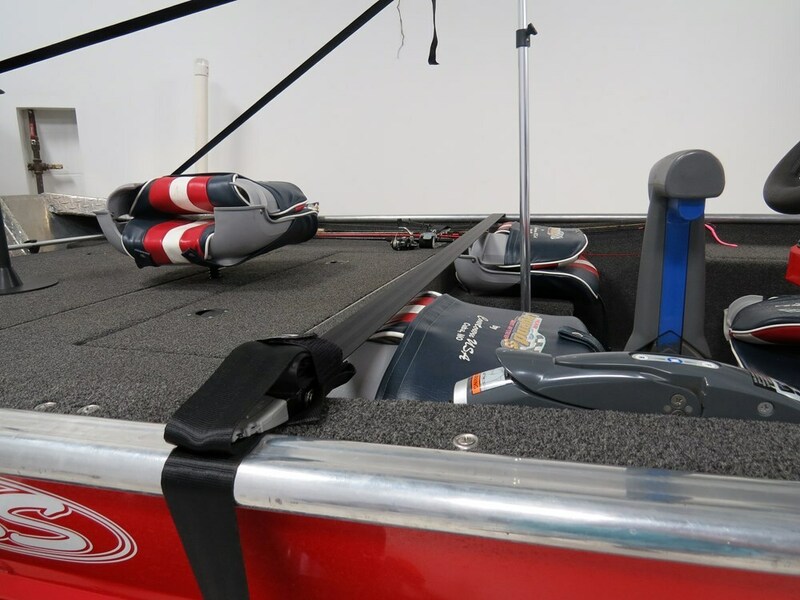 What you would do is load your boat onto your trailer, open up the buckle portion, connect both hooks, one to the side of your trailer's frame, the other S-hook to an anchor point on the gunwale of the boat. Then just pull the end of the strap through the buckle. Then you can turn that buckle down. Again, it's very easy to use with that SUR-Grip technology, that rubber coating on there. Easy to operate with one hand. Pull the end of the strap through the buckle, and then push the buckle down to tighten the strap. Then you can secure the excess strap with the hook-and-loop fastener. 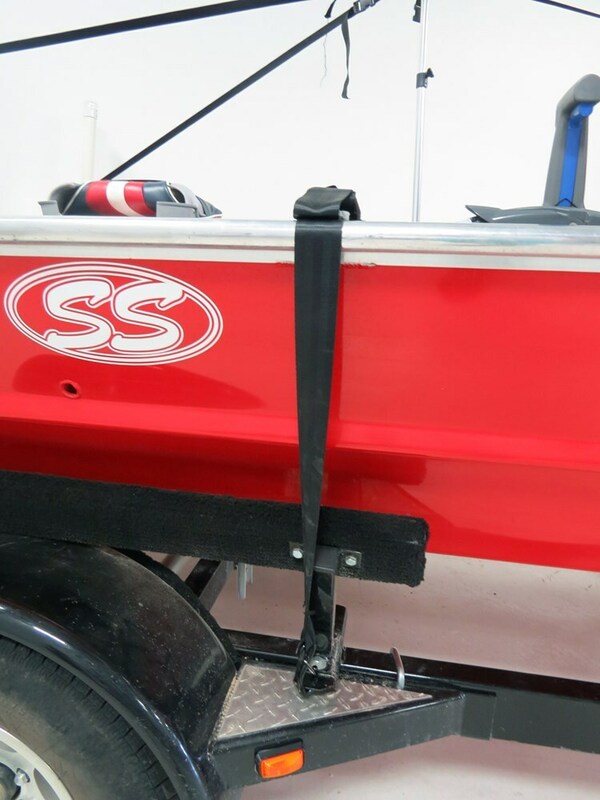 Please keep in mind that gunwale tie-downs should always be used along with the winch strap and a set of transom or stern or bow tie-downs. All straps need to be chosen according to their safe working load limit. Here in the S-hooks, it has these nice little keepers on them. That's going to keep the hooks from becoming disconnected. That's going to do it for our review of part number IMF17636. This is the BoatBuckle Pro Series Kwik-Lok 16' Gunwale Tie-Down Strap. .
Order: RelevanceNewestRating - High to LowRating - Low to High This gunwale strap offers strength, security and convenience. It secures one of your boat's gunwales to your trailer, stores extra strap length during transportation, and makes the trailer more visible at night. 1,200 lbs Max load. The BoatBuckle Pro Series Kwik-Lok Gunwale Tie-Down # IMF17636 is 16 feet in total length. The buckle is pretty much right in the middle at 8 feet.